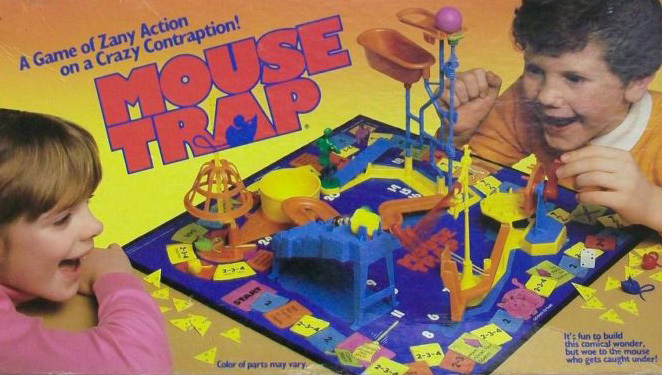 Or perhaps you may remember vintage games like Mouse Trap with the marble obstacle course. Neither of these can prepare you for the elaborate world of Jelle Bakker from the Netherlands. Jelle is the creator of Jelle's Marble Runs, and his mission is "To build funny Marble Machines for the public." While there are other marble run builders, Jelle's Marble Runs YouTube channel has almost 250,000 subscribers and millions upon millions of views. What does Jelle build? Two types of courses: multiple race-track marbles, and marble runs. He's taken these courses to the next level with the Olympic-style sports commentary, marble "audiences" and even interactive sporting so that fans around the world can root for their home teams. The Marblelympics has its own subreddit of 10,500 eager fans. or as "small" as 1,000 marbles. Jelle has tapped into the enthusiasm of fans all around the world, and created something beautiful with his love of "moving things, sounds, lights, etc." You can hire Jelle to create an original sculpture or installation, if you'd like!